Save Marinwood-Lucas Valley - our community, our future: Where Should Poor People Live? Studies say that lower-income people do better when they live in affluent neighborhoods, but rich people don’t want them there. A few states are seeking ways around that resistance. Few states have policies that try and integrate communities or develop affordable housing in so-called “high opportunity” areas. Housing advocates say the parts of the Fair Housing Act being challenged in this case are important tools in ensuring the country does not become even more deeply segregated. As things are now, few states have policies in place that try and integrate communities or develop affordable housing in so-called “high opportunity” areas. And the process of bringing discrimination claims to court under the Fair Housing Act is a difficult and expensive one. The Supreme Court may yet make it even more difficult to build housing for poorer families in anywhere besides the poorest places. “This decision will have a very profound impact on millions of Americans going forward at a time when we need every tool we can use in the arsenal of civil rights actions to make sure we live up to the aspiration of providing equal opportunity and ending discrimination in this country,” said Dennis Parker, director of the Racial Justice Program at the ACLU, which filed an amicus brief on behalf of Inclusive Communities. To be sure, there are reasons—besides pure racism—why a wealthy community might resist the placement of affordable housing within city limits. Many municipalities already have trouble funding schools. With more houses and families but not much more of a tax base, their budget problems could get even worse. The small Massachusetts town where I grew up, and where my brother is a public-school teacher, has been enmeshed in debate over a 40B proposal at the same time voters were asked to increase taxes so the town could continue funding schools at adequate levels. But people who oppose 40B projects and other affordable housing developments often don’t have any complaints after the projects are built, according to research. A study out of Tufts University, “On The Ground: 40B Controversies Before and After” looked at some of the most controversial 40B projects in Massachusetts that were completed before June 2006. It found that the concerns of residents expressed before construction were usually not realized, and that controversy evaporated after construction wrapped up. “This study provides significant evidence that the fears of new affordable housing development are far more myth than reality,” the study concluded. Similarly, Princeton professor Douglas Massey studied an affordable housing development in Mount Laurel, New Jersey, that local residents had complained would lower home values, increase crime rates, and cause local taxes to rise. He found that the development did none of those things. Many surrounding neighbors didn’t even know there was a housing project nearby. What’s more, the lives of residents in the housing development improved markedly after they moved to the affluent suburb. An increasing amount of data seems to show that location matters just as much as income in determining a child’s likelihood of escaping poverty. As I’ve written about before, children from low-income families who move to more affluent suburbs are more likely to graduate from high school, attend four-year colleges, and have jobs than their peers who stayed in the city. And cities that have made an effort to keep schools desegregated have enjoyed less race-based strife than peer cities. Still, affluent cities and towns often resist low-income housing projects: Despite 40B in Massachusetts, many areas of the state are falling back into the same segregation patterns that the Fair Housing Act sought to remedy nearly 50 years ago. Recent research showed, for example, that the Boston metro area has more racially concentrated areas of affluence (census tracts where 90 percent is white and wealthy) than any of America’s 20 biggest cities. There are few states or municipalities that have laws targeted at exclusionary zoning. Three states—Massachusetts, Rhode Island, New Jersey—have “exemplary interventions” to address exclusionary zoning, according to a paperby Rachel G. Bratt and Abigail Vladeck of Tufts University. Montgomery County Maryland also has a similar intervention. Other states, such as Oregon and Texas, prohibit mandatory inclusionary zoning requirements. In places that don’t strive to promote integration, segregation is likely to be prevalent. Many affordable housing units in the suburbs are a direct result of court cases, and even enforcement of those programs are lax. In 2009, Westchester County in New York signed a desegregation agreement and agreed to build and market hundreds of apartments for moderate-income minorities after a court found it had misled HUD by applying for funds that it said it would use to integrate housing, and then did the opposite. Four years later, the county had not complied with the provisions. New Jersey is one of the few states that bars wealthy towns from excluding affordable housing, largely because of court decisions relating to the Mount Laurel case, but even those have been under attack. Governor Chris Christie attempted to disassemble the state agency overseeing affordable housing and wanted to allow municipalities to decide how much affordable housing to allow. A state appeals court blocked these attempts, but the instance points to the fact that affordable housing programs are being challenged in the few states that have them. The repeal effort failed, 58 percent to 42 percent, and Marc Draisen, the executive director of the Metropolitan Area Planning Council, a state planning group, says he thinks the law now has widespread support. But that doesn’t mean it has gotten any easier to build affordable housing. Most developers don’t want to do mixed-income developments, and prefer to build market-rate buildings where they won’t have to face any community resistance or years of legal wrangling. That’s even in a state that’s seen by many as a leader in encouraging the construction of affordable housing in communities that don’t really want it. This prejudice won’t likely change soon, no matter what the Supreme Court decides in Texas v. Inclusive Communities. Housing advocates see some hope in an impending HUD rule, which may make it harder for communities to show this prejudice. HUD wants to stipulate that all areas receiving federal funds for low-income housing show that they are proactively promoting integration,housing experts say. Still, the government currently lacks the resources to ensure that every community promotes integrated housing. It may be up to developers like Peter Gagliardi to continue to keep fighting to do so. And he can hold up Butternut Farms as an example of how it can work. 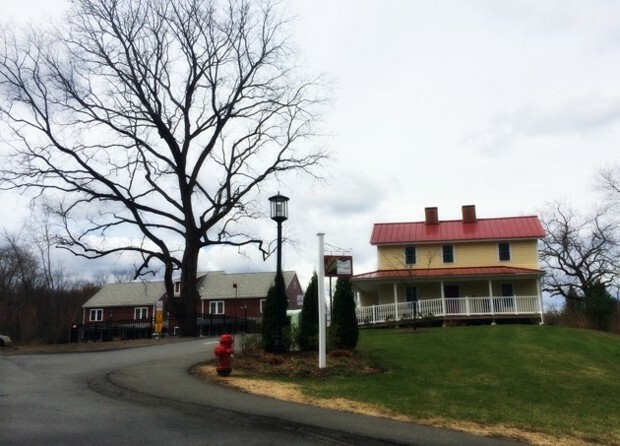 The development is located off a two-lane road near Hampshire College, a campus with rolling green hills, barns, and unobtrusive brick buildings. 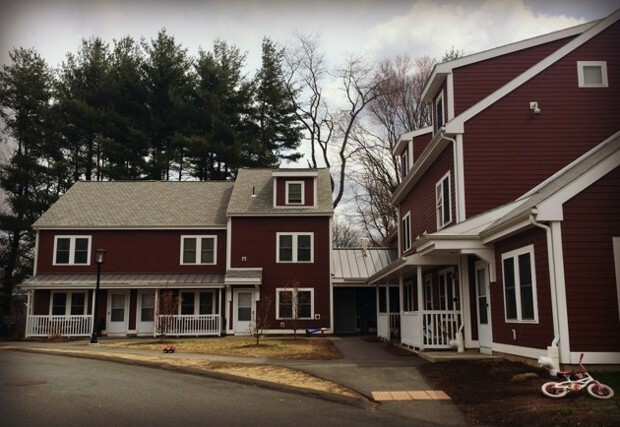 The 26 units blend right in: They are distributed in a few red barn-like structures and one yellow multi-family house, surrounded by trees and set back from the road, located up a sloping driveway. Gagliardi first set foot on this property in 2000. The homes opened to tenants in 2011. The intervening decade was threaded with court cases, appeals, and $150,000 worth of legal costs for HAP, despite pro bono legal assistance. The project, which involved the construction of three detached buildings of eight units of housing each and renovating the farmhouse to include two new units, violated parts of Amherst’s zoning bylaws regarding parking and housing density in residential areas. But that's the point of 40B—it allows developers to get around those laws if the housing they are building is affordable. The local zoning board approved HAP’s application to build a 26-unit rental development in 2002, but neighbors immediately filed suit to annul the approval. When a Land Court judge upheld the permit, neighbors appealed. When the case went to the state Supreme Judicial Court, justices decided on behalf of HAP, in 2007. A few weeks before the first tenants moved into the apartments in 2011, a rare tornado blew through nearby Springfield, destroying dozens of affordable housing units there. “I pointed out the irony it took us 10 years to get 26 units built here, but at the same time, many times that number of units of affordable housing were destroyed in a brief time of a tornado,” Gagliardi said. It’s a happy ending, but the problems that face Peter Gagliardi now face the nation. The country will have to grapple with how to house low-income residents in areas of opportunity, or bear more racial strife. After all, if Gagliardi had so much trouble in a liberal town in Massachusetts, a state with some of the strongest affordable-housing laws in the country, is there any reason to believe developers will be able to build affordable housing in affluent areas in the rest of the country, especially without the benefit of the Fair Housing Act?